Ford will begin testing a fully autonomous version of its Fusion Hybrid on California streets in 2016, becoming the latest major automaker to put driverless car technology to the test on real roads. The tests are expected to take place near its research and development center in Palo Alto. The center opened in January this year and brings together more than 100 researchers, engineers and scientists and is one of several R&D centers operated by major automakers in Silicon Valley. 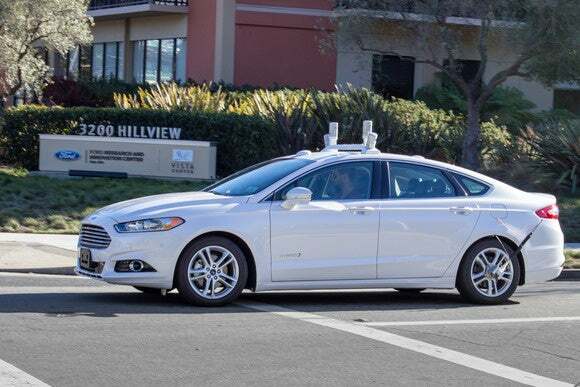 The prototype autonomous Ford Fusion is distinctive for the four LIDAR (light detection and ranging) sensors mounted on its roof. The sensors have lasers with rotating mirrors inside that allow them to perform an all-round scan of the area. Most prototype autonomous cars use the same scanners and match the images with a database of prerecorded images to determine where the car is at any given moment. 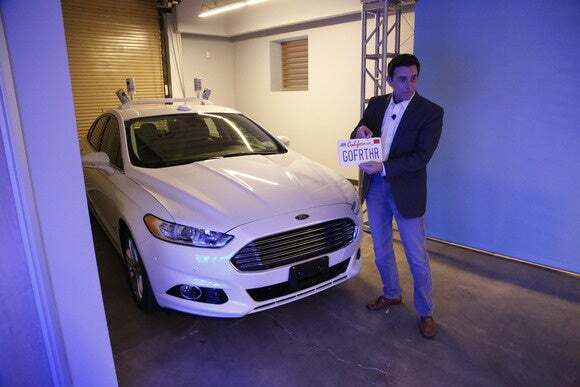 Ford CEO Mark Fields poses with the autonomous Fusion at the company’s research lab in Palo Alto, California. Google’s self-driving cars are already a familiar sight on the roads in Palo Alto and neighboring Mountain View, where the company has its Google X research center. At 73, according to statistics from late September, the Google fleet is the largest of any company authorized by the state’s Department of Motor Vehicles, but it’s far from the only one. Tesla, which is also based in Palo Alto, had licenses for 12 cars. Mercedes Benz had the third largest fleet at 5 cars and is followed by Volkswagen, Delphi, Bosch, Nissan and Cruise Automation with 2 cars each. BMW and Honda each had one autonomous car licensed in the state, according to the latest DMV data. Ford has already been testing autonomous car technology at Mcity, a fake town built by the University of Michigan to serve as a testbed for driverless car technology. In Mcity, cars can experience a range of road surfaces, including concrete, asphalt, simulated brick and dirt, and drive down two-, three- and four-lane roads. There are also the common sights of city streets, such as street lights, crosswalks, bike lanes, trees, fire hydrants, sidewalks, signs, and traffic control devices. The center’s goal is to make testing as realistic as possible while allowing car makers the chance to test different types of conditions and maneuvers without worrying about other road users. 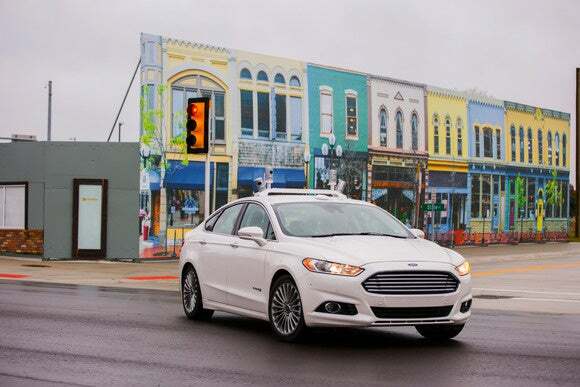 Ford’s prototype autonomous Fusion Hybrid during tests at the Mcity facility in Michigan.